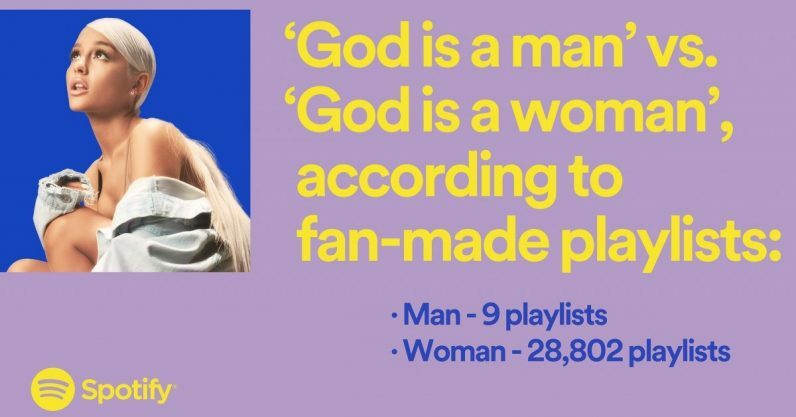 Spotify started rolling out its Wrapped year-end billboards, where it blasts out trivia about its users and occasionally calls out the stranger ones. Most of the facts are hilarious, though it does remain a bit creepy just how much the company is willing to reveal. In previous years we were building up the campaign. This year, we’re treating it less like a campaign and more almost like an editorial platform, for us to come out with our totally distinctive voice and let people have a moment of celebration, laughter, and levity at the end of a long year. I’m sure, to a certain extent, users wouldn’t be thrilled to know how much Spotify knows about them. Remember last December, when Netflix users were creeped by the company tweeting the number of users who watched a specific Christmas special every day for over two weeks? So I’m sure there’s someone waiting in the wings to accuse Spotify of the same thing. The rest of the Wrapped event, in which users receive personal stats about the music they’ve listened to, will begin on December 6.